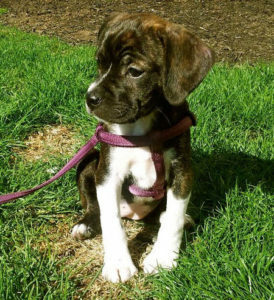 In recent years, designer dogs have become very popular among pet owners and breeders alike. The Boggle (sometimes spelled Bogle) is a designer dog that is in high demand amongst dog lovers. 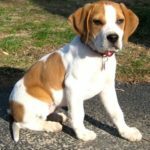 This breed, also known as the Beagle Box or the Beagle Boxer mix, originated in the USA and is a cross between beagles and boxers. 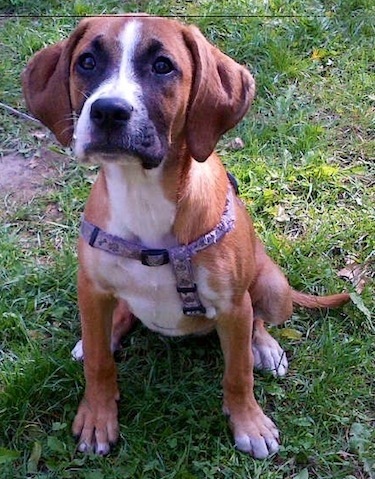 Known as a lively, cheerful, energetic dog, the Boxer Beagle is a great addition to any family. Here are some facts about them. What is the temperament of the Boggle? 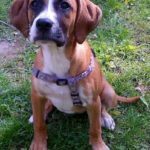 How should Beagle Boxers be cared for? What is the best way to train your boggle? 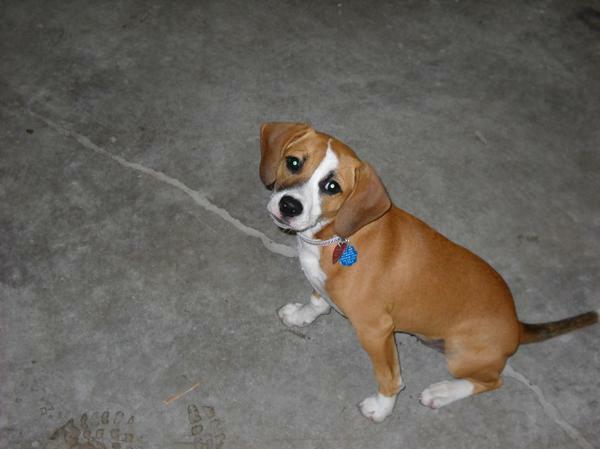 Boggles are muscular with long bodies and drooping ears. Their coat is smooth and dense with moderate to low shedding. 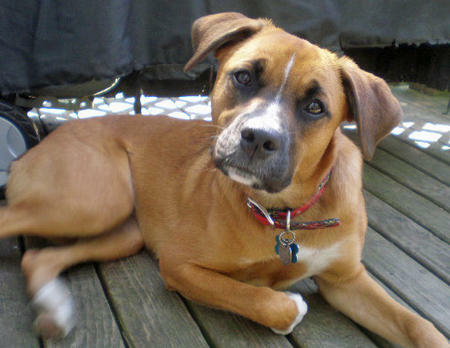 Considered a medium-sized dog, they are usually 50-60lbs and 23-25 inches in height. 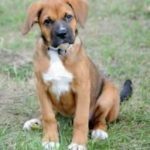 Their coloring may be black, white, tan, brown or any combo of these. Boggles can inherit any of the traits belonging to their purebred parents.They are known to be playful, cheerful, alert, social and loyal. They can also be quite funny and clownish in their antics, and therefore will provide you with hours of amusement. 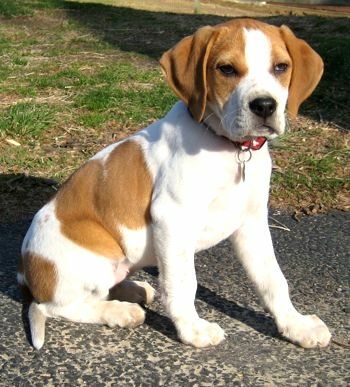 Due to their Beagle ancestry, Beagle Boxers have sharp noses and natural instincts when it comes to tracking and hounding. This makes them great police dogs due to their ability to detect narcotics. 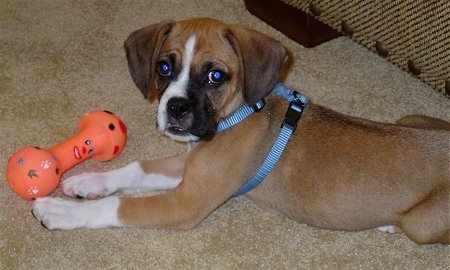 The Boxer lineage in the Boggle makes him prone to having an aggressive personality. This is why socialization with children, people, and other animals at a young age is imperative. 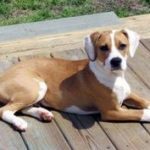 Jumping on people can be an issue with this breed, but through proper and consistent training, this tendency can be stopped. Boggles are very protective of their humans, and although they do not bark often, they will bark if a stranger approaches the home. They are always weary of those they don’t know but are usually quick to warm up. 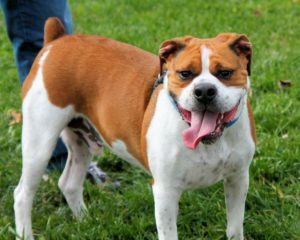 Boxer Beagles are energetic dogs and need an outlet for all of their natural energy. Daily 45-60 minute walks are recommended. 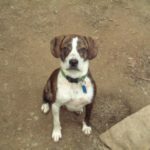 They will also benefit from having a fenced in yard where they can run around freely. Boggles require weekly cleaning of their ears because they are prone to ear infections. They also need to be brushed every other day and should be bathed only when necessary using a sensitive dog shampoo. Due to their activity level, it is important that they are fed adequately to keep them energized throughout the day. Their daily food requirement is 2-3 cups of high-quality dog food. 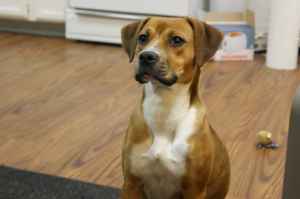 The Beagle Boxer mix is a smart dog, and he will quickly understand commands and behaviors if given consistent training. This breed does not respond well to being treated harshly, so patience is required throughout training. As with most breeds, it is important to begin training as soon as you bring your Boggle home. Establish the rules, keep it simple and remain constant. Your new companion will become confused if you do not provide consistency in training. Simple and direct commands are a good starting place. 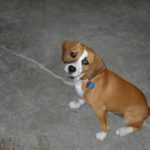 Due to the Beagle heritage, fetch is a good training technique to do initially. 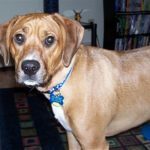 Their natural tracking abilities, and fondness for chasing will help them learn quickly; therefore, they will understand further commands quicker. 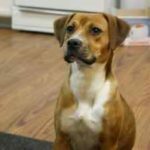 During training, it is important to be firm and show that you are the leader, but positive reinforcement, such as treats for good behavior, and encouragement will garner better results than anger or punishment. Boggles do have a stubborn side and will try to challenge you, but it is essential that you remain calm and steady in your training. Check out this adorable video of a Boggle playing, relaxing and riding in the car. 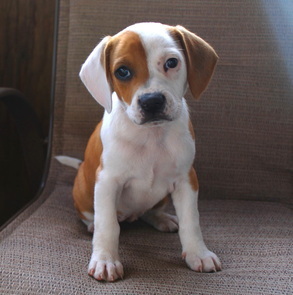 The Beagle Boxer mix is also prone to obesity, so his diet and weight should be closely monitored. Their expected lifespan is 12-15 years, and with proper care, they are much more likely to live to 15. The initial cost of a Boggle ranges from $300-$700(US). 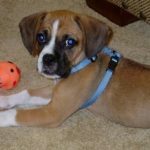 The annual medical cost for this breed is usually $485-$585; this covers shots, flea prevention, pet insurance and vet check-ups. 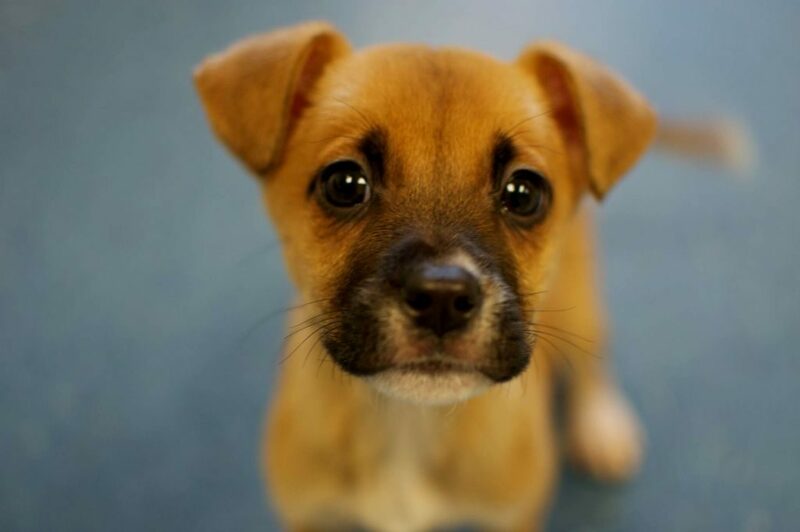 The annual cost for non-medical needs is $510-$610; this is for food, toys, treats, training and their license. 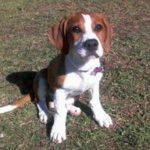 As evidenced here, you can see that a Beagle Boxer would be a fantastic addition to any family if given the right amount of care and attention. 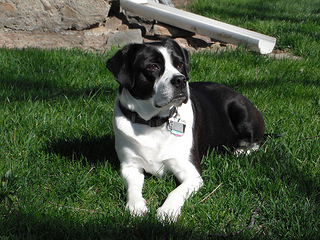 He would require daily exercise, and preferably needs a fenced in yard to run, explore and burn off energy. 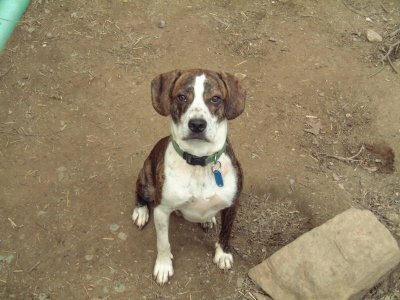 The Boggle is good with children and other animals as long as he is socialized to them when he is young. 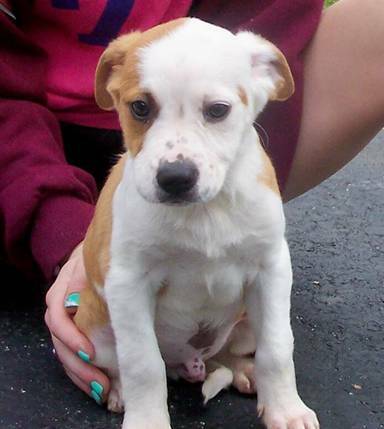 He will require dedicated training, and will give you affection and entertainment in return. 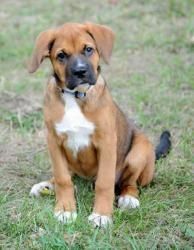 This fiercely loyal breed will be a protector of your family and will remain by your side as a constant companion throughout his life. 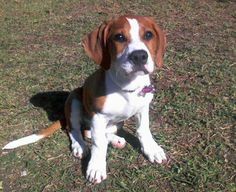 If you are looking for a social, playful, cheerful, loyal dog, a Beagle Boxer is a wonderful choice! 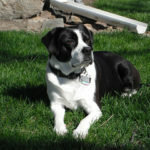 We’ve had a boggle for 7 years now..he is funny, smart and adorable. 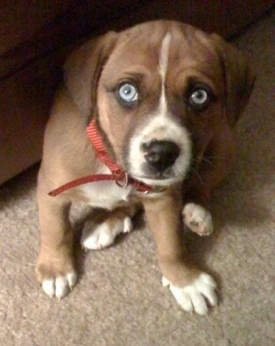 Best dog yet. 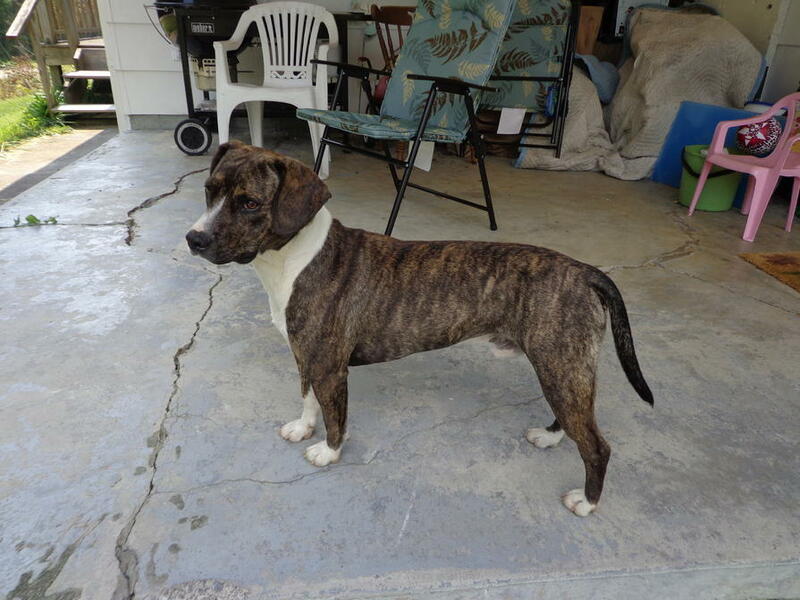 He is so inquisitive and curious….would go into anyone’s garage or home if he could !!! I have an 8 month old Bogle and this is him to a T except he loves to greet everyone and not sure what a stranger is when we are out and about. We have a Bogle and he is the best pet. He is full of energy and loves to give lots of licks to his master. Loves people and is a great protector. Our Bogle makes our family complete!!! We also have a boggle! 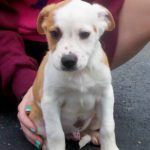 She’s a rescue and this article is her to a T! 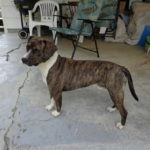 I never knew much about her breed but as she starts getting older have wanted to find out! She’s definitely the protector in the family and rarely leaves my side unless to play with something or someone. She learned so quickly! When I brought her home she was not potty trained but only after 5 days of rigorous potty training she was so we’ll trained that even when she’s sick she comes to find me to go out. She’s going to be 3 in June(2017) and she’s still as active as the day I brought her home! 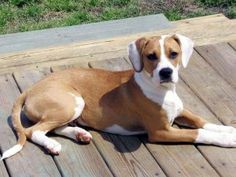 I love this breed!!! I adopted my 7 year old boggle in August of 2017. We have had him now for three months. He is exactly like this. Extremely loyal, a big protector, and listens to commands really well. The stranger part however, not sure how accurate this if with my dog. When we go walking outside he will go to any person that just gives him a look or smile. However, when we are home he definitely barks if he thinks someone is at the door or my doorbell rings. He is active, fun, and oh so goofy! 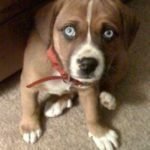 Never knew anything about this breed as this is my first dog as a dog owner and adopted him because he had such a cute face a little older and would most like have ended on death row due to his age and cherry eye:(. I am glad they can live up to 12-15 years of age! 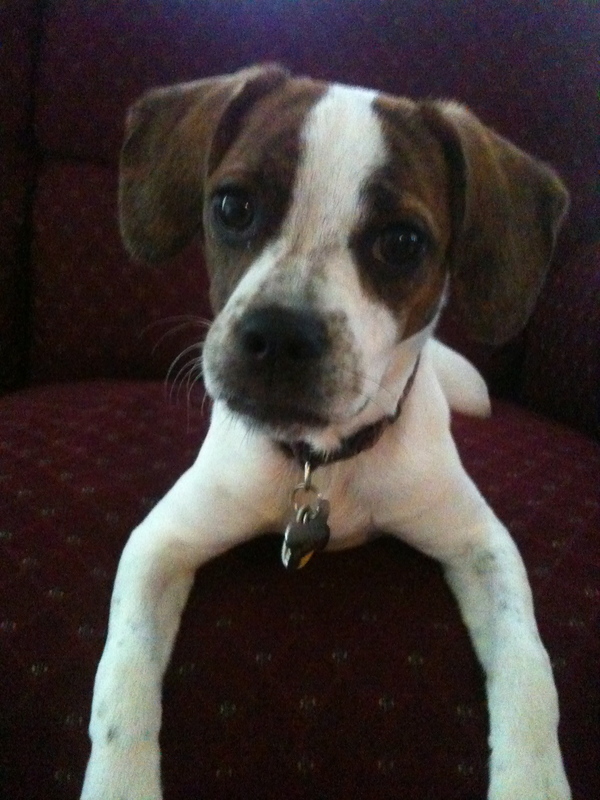 Best decision I ever made adopting him….he has changed my life for the good forever. Eye issues? Thats interesting because our Boggle is blind. Best dog though and still plays fetch. He will throw a ball himself and search for it, but bark when he cant find it. Where do u get boogie puppy’s? I just recently purchased a boggle and she is a darling. 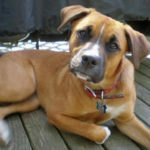 She is 4 months old and does not have the energy level this article says but she is a lover. The whole family just loves her and she definitely gets plenty of love and attention. I have only had her for a couple of days but so far she has done very well with potty training with only 1 accident (that my wife said was her fault). I am so pleased with our new addition to our home. My boggle is an amazing lady. She loves her walks and rubs. She’s very, very mellow and she’s not as playful. 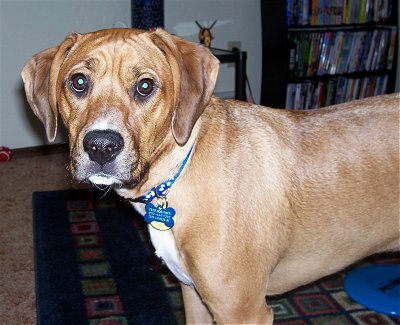 We got her when she was two from the humane society… sadly the owners that she had weren’t good with her. 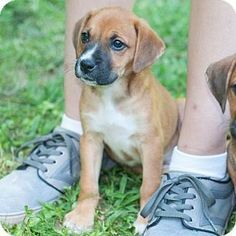 She was not good with other dogs at all, and at times she still isn’t, she only lets my parents puppy around her, which also is a rescued, but I found her running around in the road. 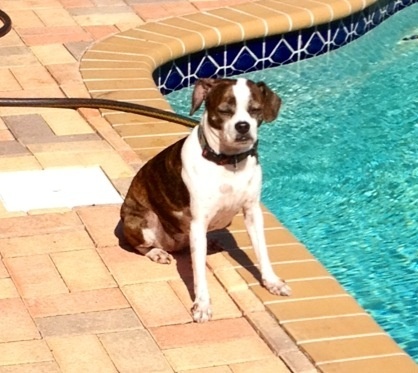 We love our peipei but it just worries me…. I just lost my boggle tonight. He was 15. This article is just how he was. They are very playful and protective. He had the biggest smile. 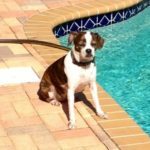 You have my dog’s picture on here!!!!! I’d post a grown up pic of him if you want. lol. He is crazy active and enjoys chasing cats. He also is a cuddle bug and is sassy/talks back. He is a whole lot of fun and makes me laugh constantly. Good combo of doggies! This article has been very informative and helpful! I have a Boggle who is 2 years old. He is my precious boy. However, he has been having ears problems and infections. 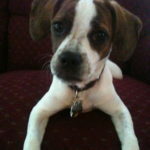 I took him to the vet several times and they could not tell us why my angel kept getting ear infections. I will definitely begin cleaning his ears more often now that I know that this is common in his breed.